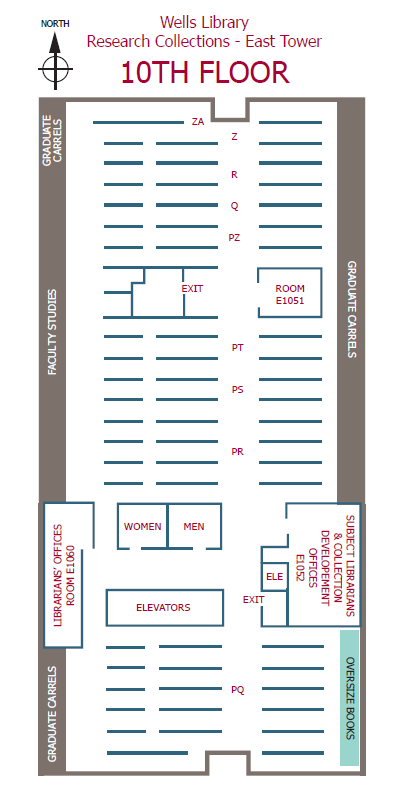 These floor plans will guide you to call number locations and offices within the Research Collections Stacks (Wells Library, East Tower, floors 4-10). For information about locations of library departments, Partner Units, and collections, see the Wells Library Building and Collections Directory. The 9th floor has been recently renovated; map will be posted soon.